Established in 2004, Hermith GmbH a private owned company, has established a reputation of knowledge, fast accurate service & dedication. With our Multi-million Euro inventory & wide range of metals, we became one of the leading Stockists and Distributor in Europe, supplying Titanium Mill Materials to the various sectors. In 2017 Hermith GmbH certified it’s Titanium production acc. to EN 9100. Within a few months of this certification Hermith GmbH successfully entered the market with a range of innovative, high-quality products and participated in April this year at Germany’s biggest Air Show ILA in Berlin. 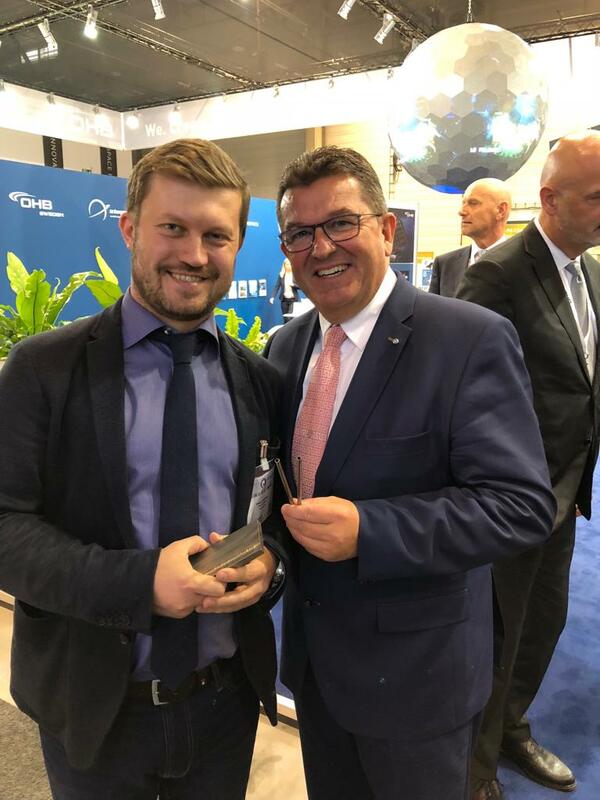 As the first Bavarian Producer of Titanium Raw Materials, it was our main concern to unveil the high quality and the customer-focused innovation of our production to the national and international expert audience. We presented the full range of our products as well as some results from our ongoing R&D projects, including our Titanium Wire for Additive Manufacturing and Special Titanium Alloys for medical, ultrasonic welding, and automotive applications. Of particular interest to our clients were Hermith’s Seamless Tubes. These tubes are in the aerospace market the key for hydraulic applications, requiring ductile, seamless, thin wall tubes that can also resist very high pressures. This has become one of our key products, as Hermith GmbH is the only European producer of tubing with a fully vertically integrated production cycle: from the Titanium sponge to the finished tubing, the whole production process is done in-house. Thanks to this, Hermith GmbH is in the position to provide its clients lead times starting from 3 months and about 30% lower prices than others on the market. Hermith GmbH wants to thank all its existing and new clients for all the positive feedback and the inspiring conversations during the show and the ILA organizational team for the great job they did. A special thanks to the Bavarian Government, in particular, Staatsminister Franz Josef Pschierer, for all the support they gave to us from the beginning of our activity and for visiting us and the other Bavarian companies at ILA.